"I could kill her in front of your eyes and you couldn't prove it" ... and so the game of murder began. 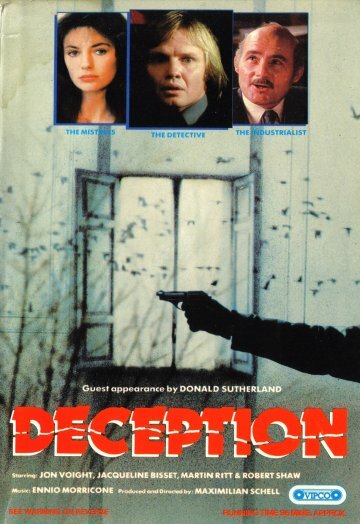 "Deception" is a cold-blooded game of murder. It starts shortly after World War II in Istanbul with a bet between two young Swiss. The game is to murder - just for fun - and avoid getting caught! Thirty years later the game is still being played. It has become more complicated, with many people now being used as pawns in this bizarre game of Chess. The deceptions in Istanbul, Munich, Rome, Lausanne and Berne are refined to the point where murder is done and another pawn in the game is set up as the killer. And so the game continues!